A thorough study of the various options for building a world with psionics. How common should psi be? How much does the public know – and how does it react? Learn the implications for all of these decisions. With the entire line of psi-related GURPS products, you can get your head in the game! 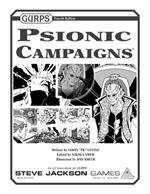 GURPS Psionic Powers provides a comprehensive GURPS framework for specific psionic abilities; you're only limited by your imagination . . . literally! 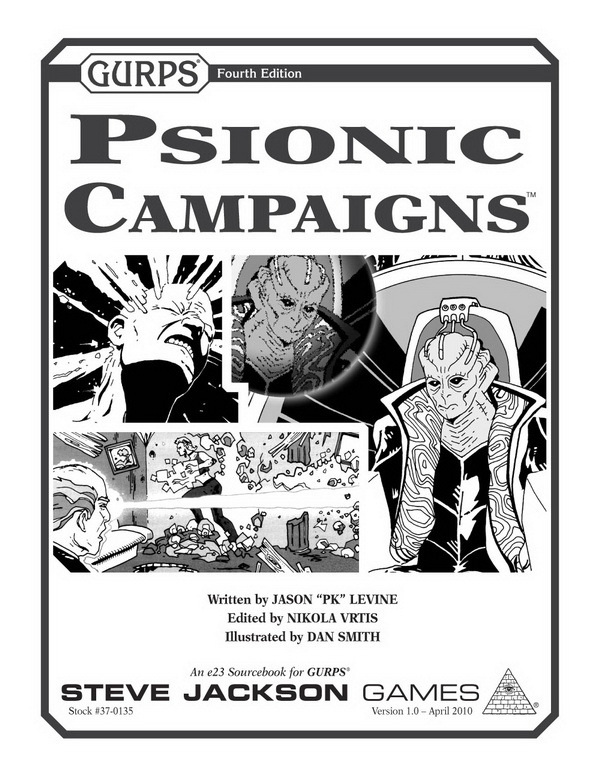 See GURPS Psis for ready-to-use templates and packages building off the system from GURPS Psionic Powers! GURPS Psi-Tech is a comprehensive catalog of new psi-related equipment, including psyschotronics, bio-psi, and more! Pyramid #3/93: Cops and Lawyers provides insight into how the law intersects with amazing abilities, and a super-max prison for super-criminals!